Welcome to Phi Delta Theta’s online archive of The Scroll, a complete collection of the Fraternity’s beloved magazine. For years, The Scroll collection has lived in the David Demaree Banta Memorial Library at the Fraternity’s General Headquarters in Oxford, Ohio. While it is an impressive reference collection, new technologies led the Fraternity to the thought of revitalizing it. Making the entire collection available online to all, anywhere in the world, allows us to share our past and everything that has made Phi Delta Theta what it is today. The Scroll covers topical issues relating to Phi Delta Theta and the wider fraternity world, news of prominent alumni, alumni club meeting reports, and undergraduate chapter reports. 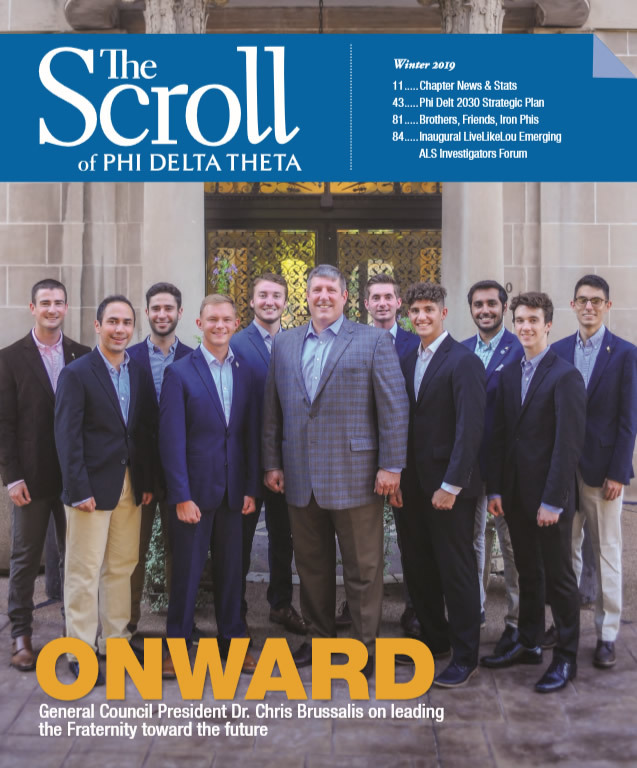 Phi Delta Theta provides a lifetime subscription to The Scroll to all members by providing it online and emailing each member with an email address on file when a new issue is published. If you would like to ensure that you receive a notification each time a new issue is released please send your email address to scroll@phideltatheta.org. 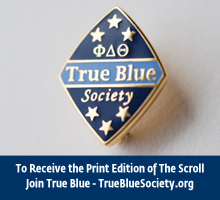 The printed version is sent to undergraduate chapters, alumni clubs, and to alumni who have joined Phi Delta Theta’s alumni loyalty association, the True Blue Society.